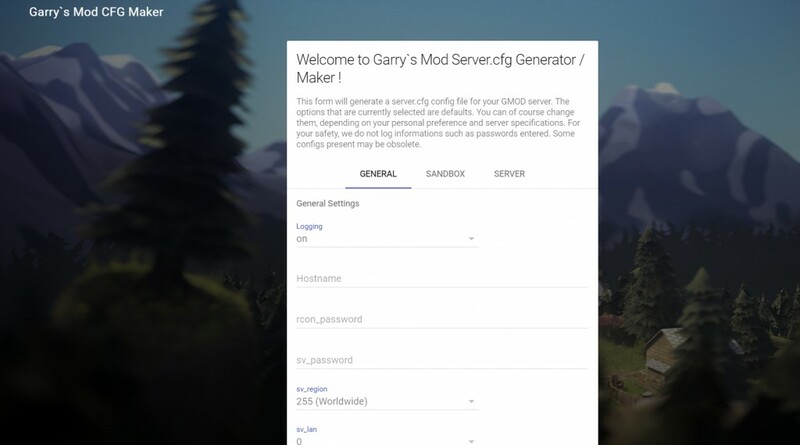 This website will easily generate a server.cfg config file for your Garry's Mod server. You can access the website ﻿. We do not log information such as passwords enter. You may also check our gmod server hosting page﻿ .